Btrend themes has been purchased 17, rating: 4/5 based on 4 reviews. Developed by Velatheme, Btrend is an excellent Shopify theme for online stores. Btrend suits many stores such as fashion, clothing, accessories, jewelry, watches, etc. In addition, Btrend is built on advanced CSS3, HTML 5 and Sass CSS technologies. This is why you can manage your store more efficiently. In addition, Btrend Shopify theme is a very reliable template for customers. Moreover, Btrend integrates millions of powerful modules such as Google web fonts, SEO, Ajax add to cart, Quickview, Slideshow, etc. 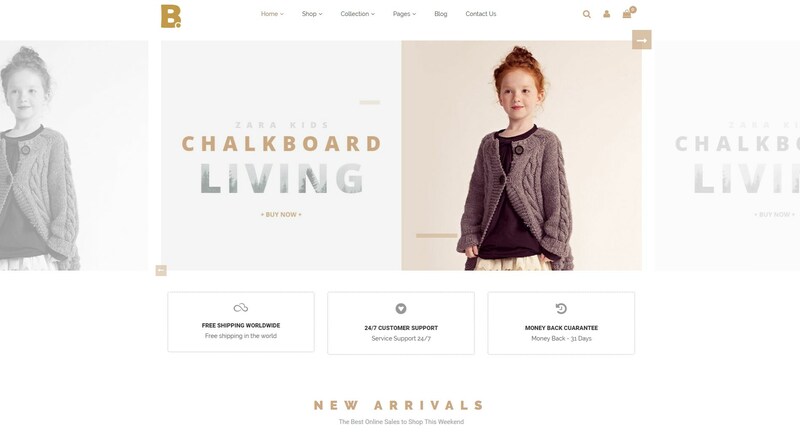 Choose Btrend Shopify theme and explore it!